Chandra Easton – Individual readings can be booked here. So every year when the Sun moves through Pisces, at the time of the full moon, we have an opportunity to find , to reconcile and balance the opposites within ourselves. A window of Light opens, to support us in this balancing. The Moon is in Virgo sign of the feminine, sign of the Mother, and the Earth is there also. The Moon conjuncts the earth. While the Sun is in Pisces, the sign of the cosmic Father, our Father in Heaven, the spiritual Father, the Monad, the I AM within all of us. But the Sun in Pisces in this chart is in crisis, it is almost exactly conjunct Chiron, which sits very close to this full moon. So you could say that in order for us to birth the Christ consciousness, through the cave of the heart (us meaning humanity) we need to reconcile something about our relationship with Father and Mother God. Now in the Age of Pisces, Father God was to be feared and to be revered. But Father God was so far away from the ordinary person and ordinary people that He could only be accessed by the priest’s. Well this old way of reveering the Fatherly aspect of the divine, it is in crisis. In doesn’t work anymore, it does not work in individuals, it does not work in institutions, it doesn’t work in society as a whole. And in the Piscean age the divine blessed face of Mother God was similarly contorted and distorted and promulgated, as less than the Father, or desecrated in some way. We have the one Holy Mother, but no other holy women; only the Mother of the Lord Jesus was revered as holy. And she interestingly enough was painted and portrayed as a virgin. She had to be painted as a virgin. The only way She could be revered in that time and that era was when sexuality had been stripped from Her and removed from Her. And this role model of the pure as the driven snow feminine, who is devoid of sexuality, it doesn’t fit for the 21st century either. So every Pisces Full Moon, in every year, as we go deeper and deeper into the new millennium – we need to grapple with these issues of the old face of the autocratic Father and the old face of the pure virgin Mother. They need to be brought up to speed. And we need to do that within ourselves. Individually we need to access and heal the sacred feminine and the protective power of the male Spirit/Father God within us. We need to find a way of united them, the Father and the Mother, because it is only through this pure union that we can birthed into a new consciousness. That humanity can birth a new consciousness on earth. Each and every one of us. . . we all part of this process of birthing the greater consciousness, divine consciousness. I am attempting to do this in my family, in my relationships, in my body and you all have an opportunity to bring this energy to bear into your families, into your relationships, and into your bodies. So this is the task that falls to humanity at every Pisces Full Moon. As I said, this year it is 6th March. Now the planet Chiron sits exactly conjunct this Pisces Full Moon, indicating to us that there is a crisis, and the crisis is because not all of humanity are interested in this process of birthing a new consciousness on earth. And so because not all of us are interested, humanity is necessarily being divided, necessarily it is being divided into two camps, two groups. Those who are working to bring greater consciousness into their relationship with themselves, all loved ones, family members and those who aren’t interested or are unwilling to change things. And we are being divided into these two groups. And this division is happening through death, it is happening through war, it is happening through the voice of prophets, it is happen through spiritual principles put into action. It is happening! But it is not pretty to watch, not pretty at all. You could say that humanity are going through a hard birth. We are collectively going through a hard birth. In this chart the child of earth, Earths Child, who will be born eventually, maybe not this year, maybe not this decade, maybe not this century, but eventually, the new consciousness will be born on earth and in this particular Full Moon, the face, the bright face of Earth’s Child, the new consciousness, can be seen through Jupiter in Leo. Jupiter is fantastically placed in Leo within this chart, absolutely fantastically placed. There is joy, there is creativity, there is love, love, love, love. My spiritual teacher the Lady Ananda Tara Shan, she reminded us that “love is all there is. John Lennon , the Beatles they reminded us that “all you need is love.” We know this on a cellular level; we know that love is the yeast; love is the yeast which births consciousness. Beautiful aspects from the Jupiter in Leo down to three planets in Aries within this full moon window. Uranus has been in Aries for quite a while – you could say that Uranus is the catalyst for this birthing of consciousness. It is a protracted hard birth, and yet the persistent energy of Uranus is bringing into our solar system, into our lives . . . . well, it cannot be gainsaid. It cannot be gainsaid. It is insistent, the clarion call for change. We all recognize, most of us recognize, that something big is afoot on earth and most of us recognize that The Change is inevitable, this is the Great Change. The Great Change is the transitional period, the pivotal middle point of the transitional period between two Ages (which last for 2,165 years) between the Age of Pisces and the age of Aquarius. It is called the Great Change. Now either side of Uranus sits Mars in Aries approaching Uranus, and Venus in Aries just past the exact conjunction. This is highly, highly creative. When Venus, Mars and Uranus combine their energies we find ourselves impelled to move through conflict to creative solutions. And moving through conflict to creative solutions requires allowing the heart to speak. Allowing the heart to speak. It is simply not possible for us to strategize or intellectualize the way forward into the Age of the Heart. Humanity are attempting to make the shift from the plane of mind, the mental plane to the realm of love of unconditional love and the way forward, it can’t be worked out in advance. We cannot as individuals or societies, or church bodies or religious institutions or governments . . . we cannot have a formulae and expect to follow that formulae and not deviate from that formulae. The old formulas are out the window, thank goodness. Thank goodness! Now some of us are more comfortable that others with change. Some of us are more comfortable than others with initiating courageous action, and yet we all need to take the bit between our teeth and commit to turning our back on what hasn’t worked, in our old life, in our old profession, in our old way of making money, in our old way of relating. Any area of your life that has been breaking down under the strain of Uranus and Pluto, (which has been putting us through vice all through 2014 and earlier – the last few years in fact.) We just simply need to allow the past to fall away. It is human nature to clutch and to cling to the vestiges of the past, because it gives us a semblance of control. There is no way of controlling this creative outflowing energy, which is pouring between Jupiter and Uranus. If it we will it. Of course if we decide to turn our back against it; to face the past and to hold old traditions and old templates and old frameworks, then this tide of living light, it won’t touch us. It will flow around us. It will touch and change and bring upheaval in our life but somewhere our hearts – if we don’t will to Love, then our hearts won’t respond, they can’t respond because that is the Law. That is the Law. Spiritual Law on earth dictates that we have free will and we can choose to co-operate with the mighty birthing of the Great Change that is going on earth. Or we can turn our back on it and it will roll its tide of change and destruction over us, but our hearts will remain closed. And what a waste that would be, what a waste! Yes, Yes. Within this chart Saturn sits in Sagittarius in what I would call free floating anxiety within its square to Neptune. This Saturn/Neptune square, this free floating anxiety, we can all feel it. It is like being surrounded by mist; it could be a mist of doubt, could be a mist of fear, could be a mist of anxiety. It is there in the ethers, it represents pollution on the lower astral plane, which makes it hard to feel clarity. It is almost like being in a room with a whole lot of chain smokers and after a while you just can’t breathe and you are suffocating and your want to rush out into the clean air. If your consciousness has oriented, or is in the process of reorienting and is willing to love, and if you are metaphorically like the flower turning towards the sun, then the pall, the fog, the anxiety, the fear that is polluting the astral plane you will feel it swirling around you. It takes a lot to rise about it. It takes a lot because we are living in the midst of the Great Change and their is a lot of fear and there is a lot of anxiety and unfortunately many of the politicians and many of the leaders of our nations are attempting to control and lead through fear and anxiety; to control us, humanity, through this fear and anxiety, which is permeating the astral plane, like so much dense clogging cigarette smoke. So this free floating anxiety . . . . now, the solution to this is to lift up above the lower astral plane; to lift up above it to where the air is clearer, where the clear note can be heard; you can do this through meditation, you can do it through aligning with like minded people. You can do it by refusing to buy into fear based politics. You can do it by turning your back on free floating anxiety and trusting your heart. If we all do this, then the anxiety which is actually just a figment of our collective imaginations, the fear which is a figment of our collective imaginations, it would of necessity dissipate. It is only being held in place because a large amount of people on the planet believe it and are focused – their focus is on the astral plane. So we have a responsibility on behalf of all those who seek a better world, to rise above it. Through faith, through kind deeds, through unselfish service, through dancing, through joy, through sharing, through time in nature, through mediation. In all the ways that you know how to do it, rise above it; rise above it; rise above it. This is an interesting chart – it is very polarized. There are four planets in Pisces – Neptune, Sun, Chiron and Vulcan. Three planets in Aries – Venus, Mars and Uranus in Aries. There is an interesting pattern called a double yod in the chart. Now a double yod is like . . . Well, a double yod is like trapeze artists. If you have every watched trapeze artists then you will realize that they have this incredible precision. You know – one swings and they have to get the swing just right and the other one swings at the same time and when their timing is just right, then they make the crossing. Now the specific timing of the swinging of the trapezes in order to make the successful crossing from fear to love; from fear to love; from fear to love; from fear to love. This is what is indicated in the double yod. The double yod involves Jupiter holding the energy of joy and the consciousness of the heart and when the will to Love and Earth’s Child; wresting itself free with the help of the strengthened Sun in Pisces and Pluto in Capricorn. Moving beyond what is broken and not working and the old structures and moving towards collective unity. One of the yods involves Jupiter in Leo across to Mercury in Aquarius and in this Australian chart Mercury sits conjunct the Aquarian ascendant. Yes. And so the purpose of this particular yod is to liberate joy; and then for the group to begin to become the container to hold joy and to hold wisdom. A collective holding of joy, a collective holding of wisdom is required. Collectively we can do what as individuals we struggle to do; as individuals our power is limited. Through the collective heart, the One Heart, our power to love is unsurpassed. That is one of the yods. The other yod . . . hmm, where is the other yod. Ah yes, the other yod it involves movement from the Sun in Pisces across to Jupiter in Leo and resolving through the North Node in Libra. The first yod talks about the collective effort of the group bringing in collective insight and clarity and clear thinking and what I would call Buddhic principles of relating. The second yod involves finding our partners or co-workers. Who are the people that we best work with? Who are the people with whom we can stand shoulder to shoulder? Who are the people in our lives, who lift us out of our own darkness? Who are the people who we help when they fall into doubt and despair? This second yod encourages us to strengthen our relationships with these key people in our lives. We are not islands unto ourselves, we are not islands. So together when the two yods function, then we have two trapeze artists, who separately and together move beyond fear to community heart; and move beyond independent isolation into united action with partners and co workers. We can all do this. We all have access to a group and we all have access to key people in our lives. It is up to us align – it could be with your local choir, it could be through your bushwalking group, it could be with your mothers group; it could be any group at all, where when you are connected to those people you feel alive and your feel a greater capacity for creative joy than you do individually. Orient to that group. And we all have the potential and capacity to form enduring, balanced nurturing relationships where we are loved and supported and where we love and support. This is our innate inalienable human right. We are hard wired for loving relationships. It is built into our DNA, that is why we keep trying and trying and trying. We don’t always get it right, we fail, we have our histories . . . . but we are hard-wired to persist. And so the message of the other yod is persist with your loving partners; persist with your loving co-workers, lift them, they lift you, it is a mutual endeavour. Yes . . . . .There is a bit of food for thought in this Pisces Full Moon. Like all full moons even though the exact full moon is 5:06 AEDT Melbourne Australia, and you can convert that to wherever you are in the planet. Technically speaking it’s five day window to enact the challenges and opportunities that I have spoken about. This time frame is two and half days before and two and half days after the exact full moon. The two and a half days leading up to the full moon, as the moon is waxing, the energy is building. The two and half days afterwards, as the energy wanes, think of it as a creation, and we are creating something beautiful together through our group meditation, our group work, our work for the earth, our work for the disempowered; our work for those who are being harmed, our work is to unite the feminine and the masculine in sacredness; our work is to bring forth joy and to birth greater love in our relationships, in our homes, in our families, in our communities. This is a very, very potent time to do as much as we can individually and collectively as we can to progress the growing of Light; the growing of light on earth. In the midst of the darkness and despair, and the free floating anxiety and the manipulative politics and the loss of hope and the collapsing structures and the persecutions. In the midst of all of that we rise above. And in the midst of all of that we support each other, and in the midst of all of that we celebrate love and we celebrate life, we celebrate the birthing of consciousness, millimetre by millimetre, centimetre by centimetre, for however long it takes. However long it takes, until the time comes when earth has birthed greater consciousness. Lovely to connect with you all through this fabulous medium. Let’s work together for the earth during this Full Moon in Pisces. I am with you in Spirit. Love always. 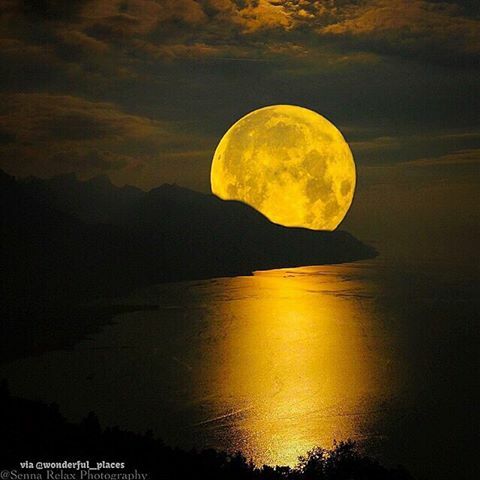 As always I would love to receive your comments and sharing’s during this Full Moon Period. If you would like a private consultation with me then get in touch or follow via Facebook page Soul Centered Astrology and Spiritual Healing.